Often printers look at new channels of digital information as “the competition,” but augmented reality presents an opportunity for service providers to enhance print in a way that improves upon either purely digital or purely print materials. While AR has been slow to gain traction in the US, it may have hit a tipping point with Budweiser’s 2012 test campaign geared toward NASCAR fans. 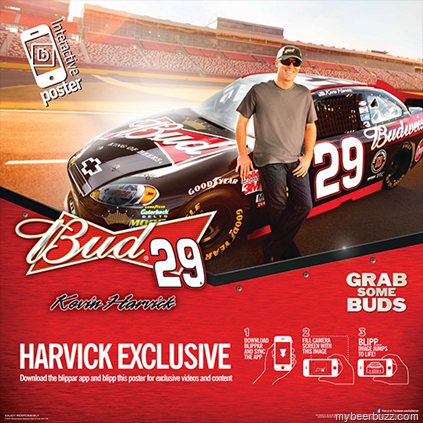 Product displays at major retailers encouraged shoppers to download Budweiser’s AR-enabled mobile app (using Blippar) to snap virtual photos with NASCAR racer Kevin Harvick and to share them on social media. Measurement of response to the three-week test showed that customers used the mobile app an average of seven times, spending six minutes per visit, per Budweiser. (I have to wonder what the pictures looked like after the 6th bud.) If AR has tested well with the beer and NASCAR circuit, it’s getting pretty close to mainstream. As of 2013, 56% of American adults own a smartphone, and Android and iPhone owners account for half of all cell phone users, according to the Pew Research Center. Tablets are also gaining significant market share; with all these mobile devices in consumer hands, the potential audience for AR is growing every year. Consumers have shown great enthusiasm for augmented reality; in 2010, LEGO AR kiosks were a big hit with customers who could scan a LEGO box and a 3d image of the finished project. These images were interactive, allowing the customer to see the project from all angles, and integrated 3D images with video content. The novelty of the kiosks created massive consumer interest, with numerous YouTube videos popping up to show off the technology. Fast forward to July 2013 when IKEA scored an AR win when they posted a video unveiling their new, AR-embellished catalog. Using augmented reality tags, the company embedded video content, visualization of different design possibilities, and other interactive content into their catalog pages. Any customer with the catalog app can use their smartphone or tablet camera to interact with the AR content — adding value and a touch of fun to their browsing experience. Mohawk Fine Papers is also using augmented reality to its advantage, specifically its Mohawk Live app to enhance materials printed on Mohawk’s paper products. For example, the company created a limited edition journal with a quote on its introductory page from Massimo Vignelli. Using AR, the quote connects readers to an animated video in which Vignelli talks about his design techniques. The benefit of this technology to printers lies in its ability to add value to materials printers’ core business and creates a path to new services and agency partnerships. Instead of a regular direct mail flyer, an AR tag can be added to show the recipient a video, product demo, store location, or other interactive content, boosting that mail piece’s chance of being read and, most importantly, shared. Key to augmenting the bottom line for printers: the printed piece remains part of the experience as shown in this Sunday Times sports poster promotion with Blippar. AR’s ability to grab attention and enhance reader engagement makes it far greater than the sum of its digital and print parts. Its value as a marketing and educational tool can’t be denied — and may fuel the future of printing and publishing. 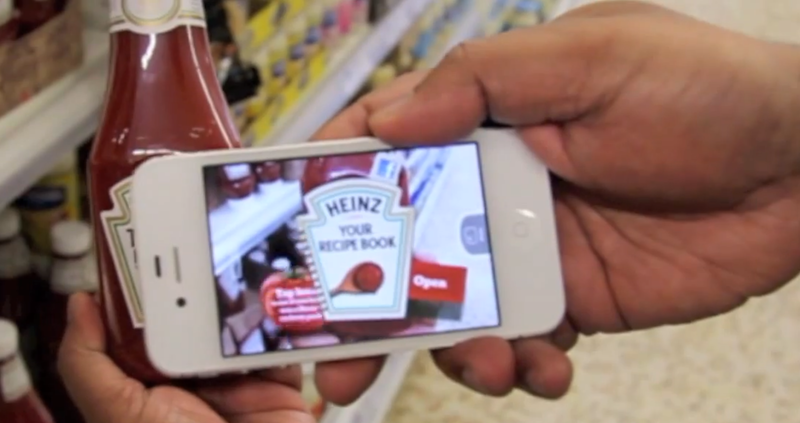 Click here to see more examples of AR campaigns in action. Very interesting article! I think AR technology is at same stage today as 3D stereoscopic technology was sometime back. With standardization and further innovation we are seeing larger adoption of 3D stereoscopic technology these days. Same would happen with AR technology as well. In addition to its applications in Business, AR is also gaining ground in gaming. With some interesting and innovative games on the offering AR technology will soon progress to the next phase of mass adoption.